Twenty years ago, David Milarch, a northern Michigan nurseryman with a penchant for hard living, had a vision: angels came to tell him that the earth was in trouble. Its trees were dying, and without them, human life was in jeopardy. The solution, they told him, was to clone the champion trees of the world—the largest, the hardiest, the ones that had survived millennia and were most resilient to climate change—and create a kind of Noah’s ark of tree genetics. When New York Times journalist Jim Robbins came upon Milarch’s story, he was fascinated but had his doubts. 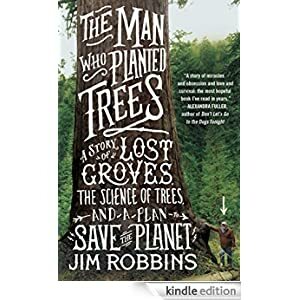 Yet over several years, listening to Milarch and talking to scientists, he came to realize that there is so much we do not yet know about trees.